A mortgage is one of the biggest commitment for a person in their life. Most people get out of bed in the morning, so they can go to work and pay off their mortgage. "I wanted to raise £50k of working capital to expand my business without having to risk my family home and remortgage. Mortgage Help Centre showed me how"
"Our business needed additional options for raising Asset Finance when the main lenders had refused our application. 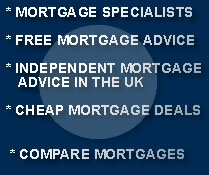 Mortgage Help Centre used an experienced approach to provide additional funding." "We needed to prove the viability of our new business and find a lender willing to provide a commercial mortgage. Mortgage Help Centre produced a professional business plan and secured a mortgage from a lender we had never heard of"
Mortgage help centre offers mortgages in all areas of the UK. We offer our mortgage services in the following areas including london, birmingham, newcastle, luton, bedford, scotland and manchester.